REDDING, Calif. — A California man walked into a local television station this week and also turned himself in to the police in confessing to a murder committed 25 years ago, as he said that his faith in God and the weight of living with the secret compelled him to do what was right. 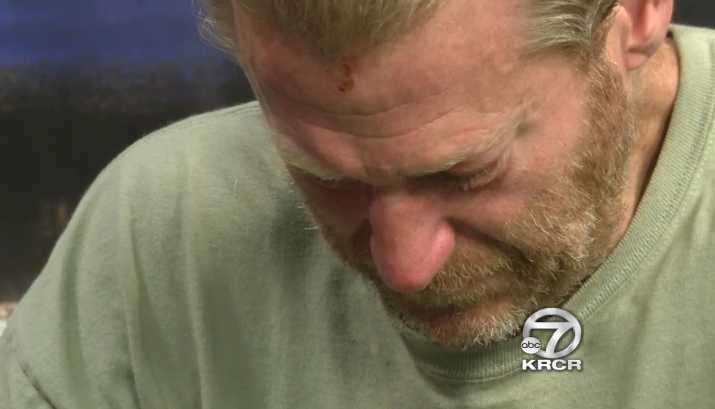 While Hawkins didn’t want to talk to KRCR about the specifics of the case, he said that he wanted the public to know that he had turned to God, which motivated him to confess to the crime. He said that he was “blind” living without Christ, and that he has felt regret for the murder ever since. He said that he hoped that the community would forgive him, shedding tears at times during the interview. Hawkins shared that he believes God has forgiven him, but he knew he had to confess. He explained that he also sought to reach out to the McAlister family, but Frank’s father died before he was able to get there. The television station said that it agreed to interview Hawkins, but advised that it would not release the footage until he had turned himself into police, and after authorities were able to corroborate the claims. Hawkins was subsequently arrested after confessing to the crime at the police station next door, as were his accomplices Shanna Culver, 46, and her brother Curtis Culver, 45. One of the two Culvers also reportedly confessed, although police have not stated which one. The three had reportedly been questioned by investigators in 1993, but denied any part in the killing. The matter has therefore remained a mystery ever since as nothing connected them to the murder, even though it was known that they were the last to see McAlister. “I’ve been through Hell my whole life because of this,” Hawkins said, explaining that the guilt had eaten him up and he could not hold it in any longer.